Father, how can I save my soul? 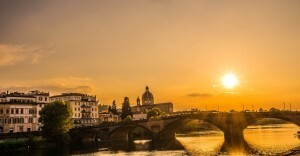 This is the question that any rich banker or merchant in Florence Italy asked when his age reached 40 or so, because collecting interest rates, in particular, was against the teachings of the Holy Writings. Cosimo de Medici “The Elder” was not different: he was scared to be damned. Luckily, the catholic Church offered a way to salvation: “repent yourself, and use your profits to make something for your church”. This answer led to some of the most incredible works of art and gave a big push to the Renaissance. 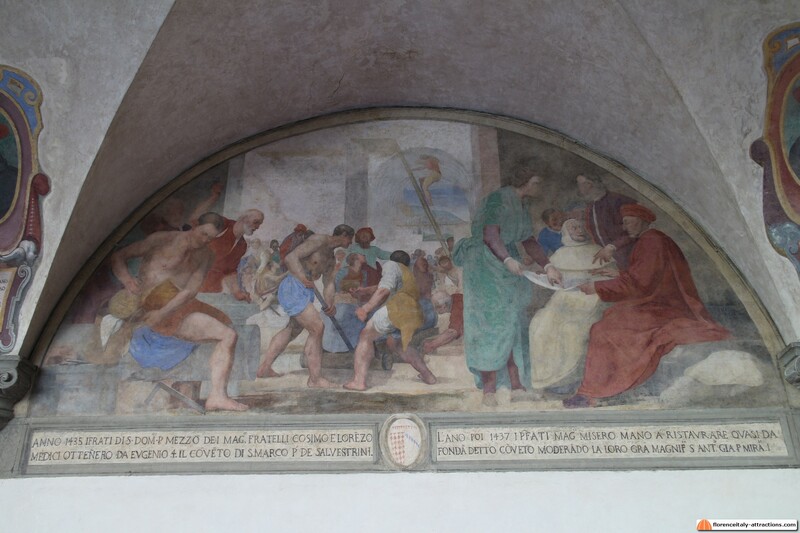 What today is the San Marco Museum, didn’t exist at the time of Cosimo de Medici. Asked to invest 10,000 Florins, Cosimo actually spent between 30,000 and 40,000 to build a new Dominican convent from scratch. Just to understand what we are talking about, a banking activity could be started with around 15,000 Florins. 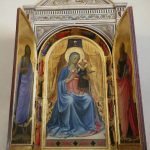 The San Marco Museum is an overlooked attraction today, although it contains gorgeous early renaissance paintings and frescoes. 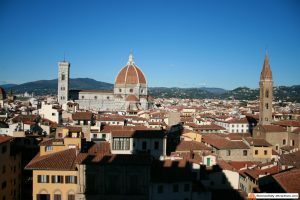 Michelozzo was the favorite architect of Cosimo the Elder; he also was preferred to Filippo Brunelleschi in designing Palazzo Medici. He worked on San Marco Convent between 1439 and 1444, creating a typical Renaissance architecture. 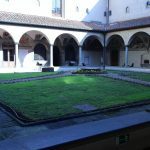 Visiting the San Marco Museum today, you can identify all the features of the Renaissance in the cloister. 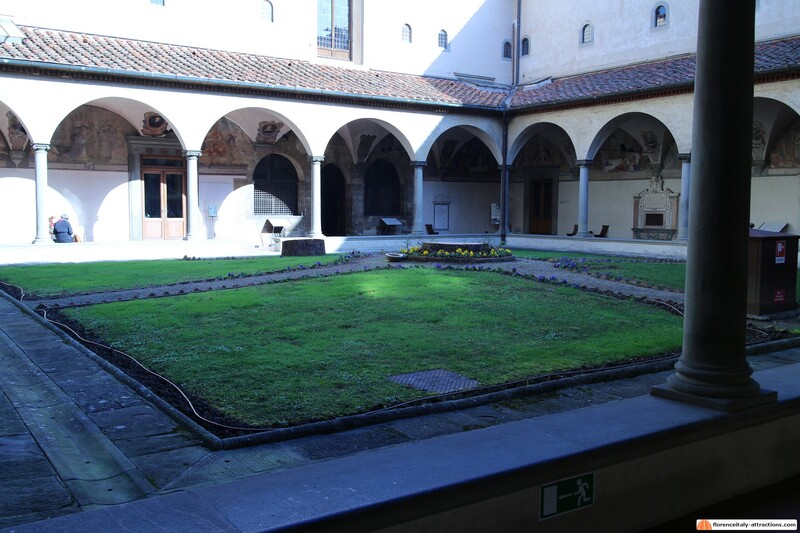 Unfortunately, San Marco Museum was damaged by a violent hailstorm we had in Florence in July 2014, and two beautiful trees, centuries old, had to be cut down. 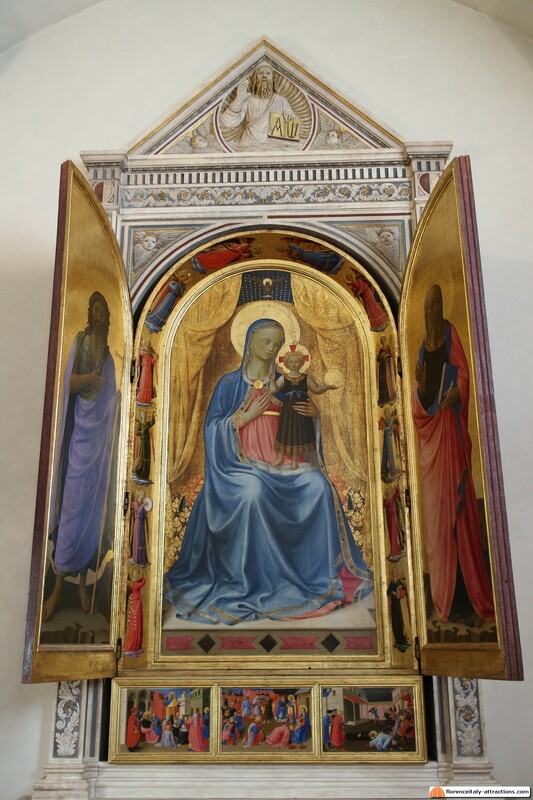 The San Marco Museum has become a Museum dedicated to Fra Angelico, Dominican friar and painter. His real name is Giovanni da Fiesole and he’s also known as Fra Giovanni Angelico or Beato Angelico. 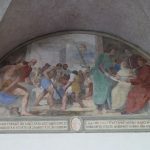 He was one of the finest painters of the early Renaissance, the man who basically continued the tradition of the religious painting adapting it to the new tendencies in arts. 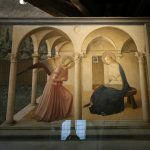 Fra Angelico mastered both painting on panel and fresco, and San Marco Museum offers many examples of both techniques. 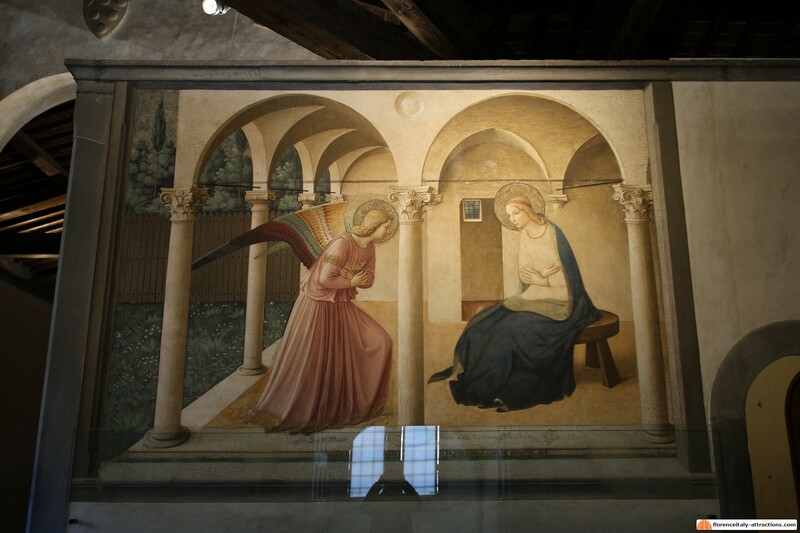 The most famous piece by Frà Angelico is the fresco of the Annunciation, visible when you go upstairs to the dormitory. The Tabernacle of the Linaioli is one of the attractions of San Marco Museum. Recently restored, this amazing work shines in all his beauty in what once were the guestrooms of the convent. The Linaioli were the linen manufacturers and they were organized in a guild, like many other categories of entrepreneurs in Renaissance Florence. Guilds were very rich and powerful, they generally had a palace as their base, and these palaces were enriched with works of art, often representing the patron saint of the guild. The work, commissioned in 1432-33, is a magnificent combination of sculpture and painting: the marble parts have been designed by Lorenzo Ghiberti while the painting has been executed by Fra Angelico. The painting represents a Madonna and child, the doors are decorated with St. Peter, St. Mark, St John the Evangelist and St. John the Baptist. To complete the tabernacle, a predella shows three small stories, two related to the life of St. Mark and one representing the Adoration of the Magi.